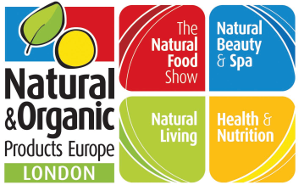 JFN Productions celebrates its partnership with Natural & Organic Products Europe for the fourth year running! "We are delighted to be a supporting partner of the show again this year. The show is a great opportunity for us to showcase our health and wellbeing brands and support the suppliers, retailers and healthcare practitioners that are at the heart of this growing sector." On our stand this year we will be showcasing our flagship brands and our growing contract publishing business for key clients such as Wessanen, Tree of Life, Pharma Nord and Wholesale Health. Come and visit us on STAND G74 and pick up your free copies of our magazines Better Retailing Magazine, Your Healthy Living Magazine and Rude Health Magazine and leave us your business card for your chance to wine a ONE-NIGHT DETOX RITUAL BREAK.